Graduation may be a long way off for some, but there are still graduations happening at the end of the year. I couldn't resist pairing "The Future is Bright" sticker and sunglasses die cut from Dear Lizzy Documentary to create this card. I also added in a wood and acrylic embellishment from Color Cast Designs and a piece of my favorite mini flair from Feed Your Craft. 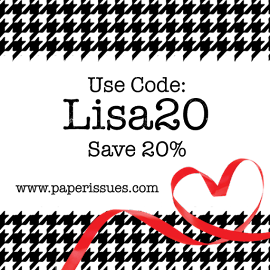 Use the code LISA20 when you shop at Feed Your Craft to save 20% off of your order. 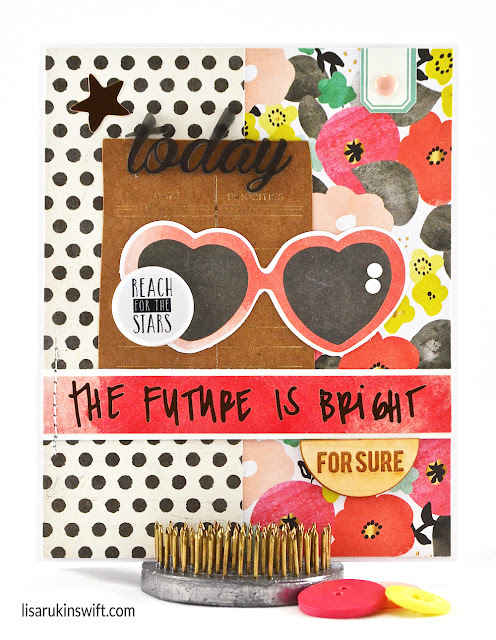 Wow, awesome card, Lisa, just love how you're working this collection and those sunglasses are too cute! Loveeeeee this! LOVING the sentiment with those glasses! PERFECTION!!!!!!!!!!!!!!!!!!!!!!!!! That is soooo much fun!!! Love it. What a great card! Love those glasses and a great uplifting sentiment! I am smiling big because of this card right here!!! Those heart sunglasses are so AWESOME - they just make this card unbelievably COOL!! That wooden For Sure just adds to the total AWESOMENESS that IS THIS CARD!!! Such a bright, pretty card!! !